Probably the most exciting match of the night for its many goals! A total of 6 goals (3-a-side) were scored on the night in Monchengladbach. Both teams showed almost the same amount of strength and I think that Lazio were very happy to have scored 3 away goals. Statistic-wise, Lazio had only three attempts more than Monchengladbach (18 against 15), but the home side had better chances. The Bundesliga side hit the woodwork twice and were the first ones to score. Lazio dominated the game from then on, until two late goals from the home side ensured that the advantage for Lazio wasn’t too big. We saw three goals between the two clubs after the 80th minute! Sergei Karasev issued 7 cards between the two teams; 6 yellow and one red. Monchengladbach picked up only one yellow card, while Lazio picked up the rest. Lazio’s Andre Dias was the only player sent off during this match, having picked up 2 yellow cards. In a dramatic turn of events at the Estadio Vicente Calderon stadium in Madrid, the defending champions and home side were left in blushes after a bad defeat by their Russian visitors. They had more attempts by far (24 against 6) and certainly more possession but Rubin Kazan just wouldn’t budge, not even with 10 men! Istvan Vad issued 7 cards on the night between the two teams; 6 yellows and one red. 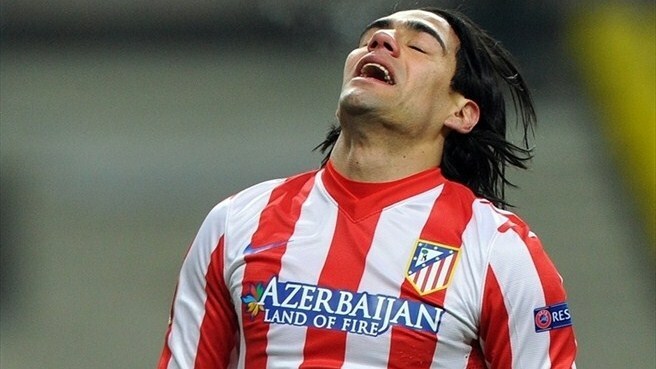 Atletico Madrid picked up only one yellow card, while Rubin Kazan picked up the rest. Rubin captain, Sharonov, was the only player to be sent off during this game.